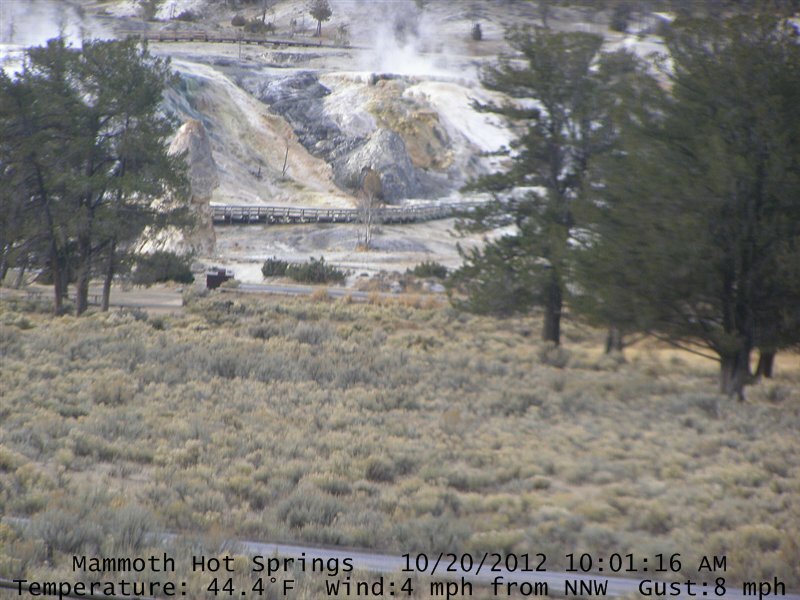 October 20,2012…the webcam face to the terrace Spring Mammouth indicated 44 caelsius degres. A super volcano is the most destructive force on this planet. Only a few exist in the world and when they erupt they do so with a force tens of thousands of times greater than other eruptions. They lie dormant for hundreds of thousands of years as a vast reservoir of magma builds up inside them before finally they unleash their apocalyptic force, capable of obliterating continents. They threaten the survival of actual mankind. Many differents eruptions compared .See the Mount St-Helen’s eruption look like a dwarf. The last eruption of a super volcano was in Toba, Sumatra, 75,000 years ago. It had 10,000 times the explosive force of Mount St. Helens and changed life on Earth forever. Thousands of cubic kilometres of ash was thrown into the atmosphere – so much that it blocked out light from the sun all over the world. 2,500 miles away 35 centimetres of ash coated the ground. Global temperatures plummeted by 21 degrees. The rain would have been so poisoned by the gasses that it would have turned black and strongly acidic. Man was pushed to the edge of extinction, the population forced down to just a couple of thousand. Three quarters of all plants in the northern hemisphere were killed. 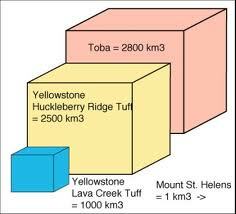 Since 680,000 years , the whole surface of the lift is large caldera. In recent years, the pressure has increased considerably and the rise is accelerating. 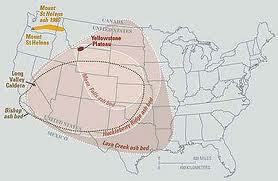 Not all super volcanoes have been found, but one of the largest is in Yellowstone Park, USA. Scientists searching for the caldera in the park could not see it because it was so huge – only when satellite images were taken did the scale of the caldera become apparent – the whole park, 85km by 45km, is one massive reservoir of magma. The idyll landscpae of Yellowstone (below) could soon explode with devastating consequences. Scientist have discovered that the ground in Yellowstone if 74cm higher than in was in 1923 – indicating a massive swelling underneath the park. The reservoir is filling with magma at an alarming rate. 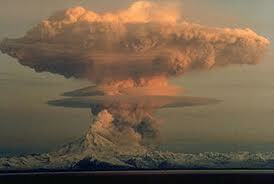 The volcano erupts with a near-clockwork cycle of every 600,000 years. The last eruption was more than 640,000 years ago – we are overdue for annihilation. The long-term effects would be even more devastating. The thousands of cubic kilometres of ash that would shoot into the atmosphere could block out light from the sun, making global temperatures plummet. This is called a nuclear winter. As during the Sumatra eruption a large percentage of the world’s plant life would be killed by the ash and drop in temperature. Also, virtually the entire of the grain harvest of the Great Plains would disappear in hours, as it would be coated in ash. Similar effects around the world would cause massive food shortages. If the temperatures plummet by the 21 degrees they did after the Sumatra eruption the Yellowstone super volcano eruption could truly be an extinction level event. Other comparaisons inter many eruptions.